The consumer electronics company with the phlegmatic name has just dropped its latest device on us, and for once it isn't a tablet or some form of PMP. 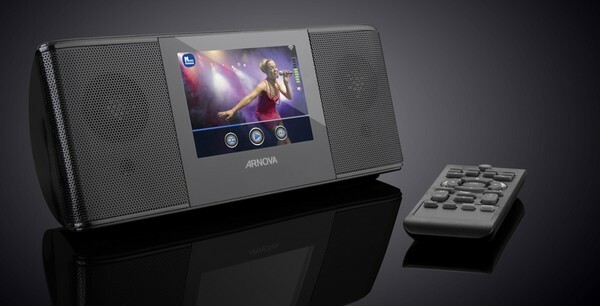 It's the Archos Arnova, a fancy clock radio, with a 3.5-inch touchscreen in the middle plus the ability to connect to 12,000 streaming radio stations and 1,500 "web TV" channels too. If that's not enough you can play media directly from an SD card or pull it over your local network via uPNP. Why, you can even view pictures on there, if you don't mind squinting. What you can't do is know how much money to save or when you'll need to save it by if you're looking to buy one, as Archos hasn't seen fit to tell us that just yet.